← Have you sewed with cork fabric yet? When I first got the Janome MC9400, I was really pleased that it came with a walking foot. It’s sometimes called an even feed foot and it is a foot that can be used with the AcuFeed Flex System on the Janome MC9400. This combination of the AcuFeed Dual Feed Foot and Holder (Twin) or AD foot and the AcuFeed Flex System moves the top and bottom layers of fabric at the same rate as you are stitching along. You might wonder why I was so happy that this foot came with the Janome MC9400. As a quilter, I like to use the AD foot if I am walking foot quilting. I guess that would be rather obvious, wouldn’t it? I also use the AD foot when I’m adding binding to a quilt or even adding long borders so I avoid having the top fabric stretched out so that it ends up longer than the fabric I’m stitching it to. While I like to use the AD foot that was included with the Janome MC9400, I also have an optional walking foot, the AcuFeed Holder and Foot (Single) or VD foot. This foot is similar to the AD foot, in that it does the same thing, but there is a major difference between these two feet: the VD foot is narrower than the AD foot. This allows me to get into smaller areas where the AD foot might be just a bit too wide. I really like to have the choice of using either the AD foot or the VD foot when I am walking foot quilting and I like to use this type of quilting when I’m making improvisational projects (so much fun and so easy to do!) as I mentioned in a previous blog post. 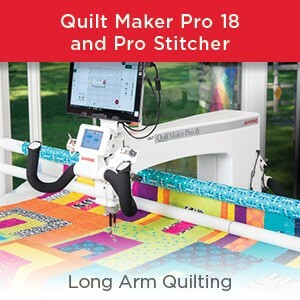 The choice of which foot I will use on the Janome MC9400 depends on how close I want the quilting lines to be to one another on that particular project. Both of these feet do a fantastic job, but only if they are properly attached to the Janome MC9400 and if the AcuFeed Flex System is engaged. To see how to do this and an up-close look at both feet, watch this video on my YouTube channel. If you haven’t been using the AcuFeed Flex System with either the AD or VD feet, you should give it a try. I know that you’ll find this combination of the AcuFeed Flex System on the Janome MC9400 and either the included AD or optional VD foot to be so helpful in your quilting projects. If you are interested in getting an AcuFeed Foot with Foot Holder (Single) for your Janome MC9400 machine or any other Janome machine that has the AcuFeed Flex system, contact your local Janome dealer. 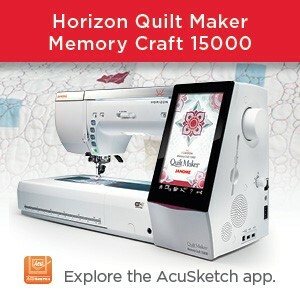 This entry was posted in Janome Horizon MC 9400 QMP and tagged ACUFEED FLEX WITH JANOME, Janome Acufeed Flex (walking foot), JANOME ACUFEED FLEX FEET, Walking foot. Bookmark the permalink. Thank you Kim, I enjoy your posts. I have a 7700 and it comes with an accufeed foot as well. It’s good to have your point of view for when it’s a the best time to use it. The manual gives a limited amount of information. So far I’ve been happy with the original wide foot but would the narrow foot fit the 7700? Thanks again! Glad you like Kim’s posts. They are indeed very helpful. 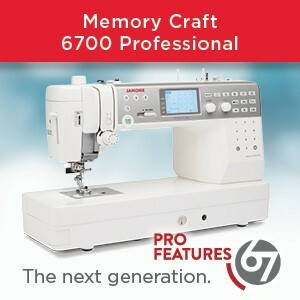 However, Kim has the Janome MC9400 which has a slightly different Acufeed system to your MC7700. So, I’m sorry, but the narrow AcuFeed Flex foot is not compatible with your model. 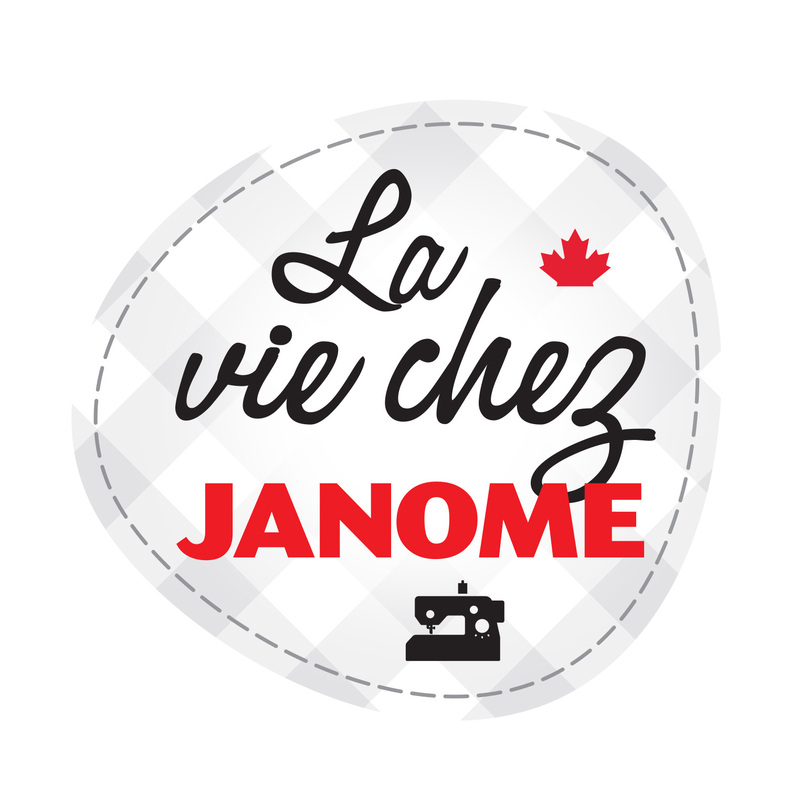 Thanks for your interest in janome life. Happy sewing!